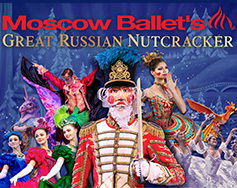 Platinum and Gold Circle tickets include a Nutcracker ornament and the official Moscow Ballet Book with every ticket purchased. Bring home a piece of Moscow Ballet with this classic nutcracker! Pre-purchase Moscow Ballet's Nutcracker Prince! This finely detailed hand-painted wooden figure is inspired by one of the most beloved characters in the critically acclaimed Great Russian Nutcracker. The Nutcracker stands on a Moscow Ballet branded base. 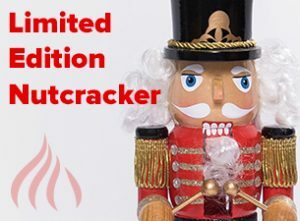 This voucher will guarantee you receive one of these limited edition nutcrackers. Bring your voucher to the merchandise table to redeem! 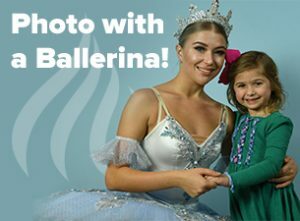 Get a Photo with a Ballerina! Be one of 20 patrons to pre-order this cherishable moment! Taking Your Digital Photo: Your pre-purchased digital photo voucher will allow you to skip the payment line and enjoy a photograph with you and your guests (limit 5 guests per voucher) by the Moscow Ballet photographer in The Paramount lobby that will be a treasured keepsake. Photos will be taken before, during intermission, and after the show.